At what point does stating your beliefs in a manner more palatable to a secular culture equate to watering down your message? I ask because this is a question I personally wrestle with every day. Diversity is currently a hot topic in gaming. Discussions on how to better create LGBT characters, strong women and non-stereotypical people of color dominate the industry–and it makes sense. People of all backgrounds and lifestyles are contributing to video games both financially and creatively. Additionally, with the advent of the internet and social media, communities of previously less-recognized groups can form and be heard. However, commentators and the games industry in general have almost totally neglected one area of diversity–that of faith and religion (especially Christianity). There are undoubtedly numerous factors to this, and yet, I think one thing can’t be denied: Religion (particularly rote religion that relies on law rather than faith and personal liberty) has hurt people. The Binding of Isaac and the story of its creation alone is ample evidence of that. 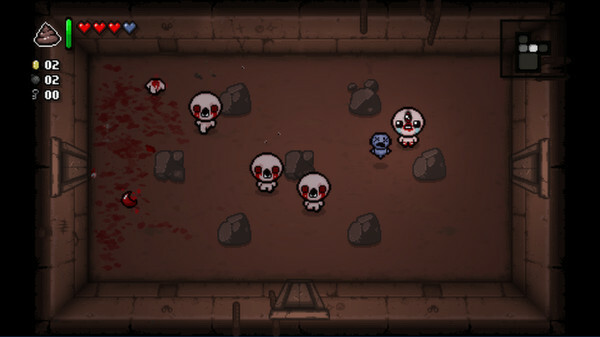 Many in the game industry have had negative experiences with religion (as in the case of Edmund McMillen, creator of The Binding of Isaac). As a born-again Christian, I’VE been hurt by members of the faith, as has every brother/sister in Christ that I have spoken to. The “crusades” of those bearing the banner of Christianity in video games, whether against the medium or to create unfortunately mediocre products certainly hasn’t helped, either. So, we’re now at a point where stellar products are being made by Christians for audiences both believing and non. Websites speaking about video games from our perspective while encouraging audiences to choose what is right for their families thrive. And yet, “Christian” remains a dirty word in gaming. Christianity, its symbols, terms and scripture are often used to quickly define video game opponents as insane, psychotic and evil. Events and elements essential to our faith are regularly appropriated, or used in casual conversation as a running gag. Taking elements of Christianity and using them (let alone in a negative light) is not seen as cultural appropriation the same way that perhaps, Ben Esposito encountered with the original version of Donut County. Those born in North America, at least, have been raised in societies espousing largely Judeo-Christian worldviews most of their lives. So, using this worldview in fiction, whether reinterpreting it or outright mocking it, seems natural–like an adult laughing off a nightmare from their youth. 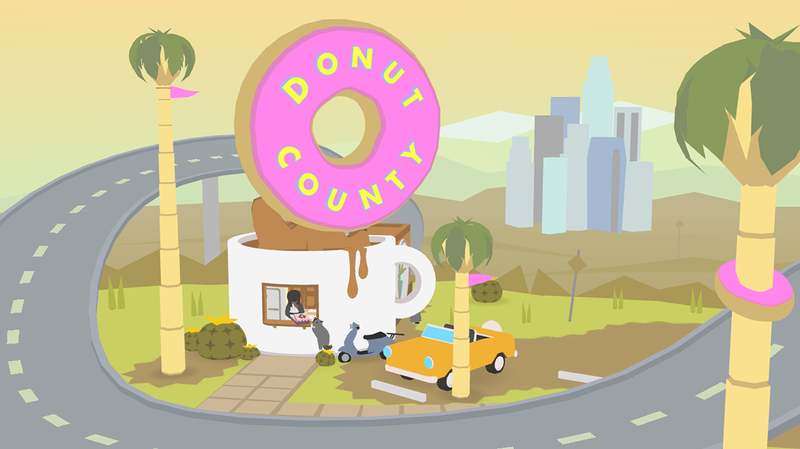 When working on the original version of what would come to be called Donut County, Ben Esposito stated that it was “Drawing from Hopi folklore.” That was in 2013. At this year’s Game Developers Conference, he had something different to say. “After talking to people of the tribe for a while, listening to them about their art and their stories, he had his apocalyptic moment. What had been a project, part faithful desire to tell unknown tales, part desire to prove someone wrong, he realised, was actually the real-life stories of real-life people. “And I was not treating them [that] way,” he admitted with humility. If someone is not in a position to tell their story, maybe look at ways to help it get told. But don’t assume it’s yours to tell. I’m not saying that the game industry as a whole is hostile to all Christians–I’ve personally been received pretty well, thus far. I’m saying that there’s a bias–an echo chamber of thought partially created by the absence of Christian developers and the silence of those in the industry already. I understand this verse intellectually, but…I want to be a voice for my people. To show how our beliefs and perspective can not only lead to greater accessibility and diversity, but improved products and a better industry as well. I want to show that reducing “Christian” to a label meaning a hypocritical, occasionally dangerous jerk or a title of poor quality hurts gaming as a whole. In a time where everyone can “broadcast” their beliefs, worldview and opinions, many have stopped listening…And many more have stopped speaking. In a time of “diversity” and “equality,” ours is a voice worth hearing. This entry was posted in Uncategorized and tagged be heard, Bible, censure, christian, christian gaming, christian video games, christianity, diversity, editorial, fear, finding a voice, folklore, gaming, God, Jesus, KJV, scripture, video game, video games, video games and the Bible, videogames. Bookmark the permalink. As a non-Christian who grew up in a Christian society (the UK) and sometimes butted heads with the established order, I can see where you are coming from and also where you might not be 100% on the money. My first remark would be that you (Christians) are a nominal majority and so there are many aspects of your faith which are all but impossible to extract from Western society in general. Even secular individuals will often curse using Christian language; the use of “Jesus Christ!” as an interjection when shocked or “I swear to God…” to strengthen a threat or promise are common examples.Even the use of Hell and devils/demons is less about cultural appropriation and more about cultural constants. If I (a writer/designer for game) were to use the example of a man trading his right eye for wisdom, I might confuse maybe a quarter to a half of my audience. If I had a horned man with goat legs, perhaps 90% of my audience would see the devil instead of a nature spirit. Video-games from the US inherently have a strong Christian bent even without trying, but it is invisible because they are parts of the culture which are just taken for granted. Even ignoring concepts like privilege and what I have heard called ‘kyrarchy’ in recent months, being raised in a nominally-Christian society imparts a certain perspective. Fantastic, well thought out response. I applaud both the article, and the response. i could not even begin to agree with this more. Fantastic article that’s put a lot of what I’ve been thinking on the table. I’ve really been comvicted more and more to speak up about what I think is right when my Twitter and Facebook feeds seem more and more to speak out against what I believe. Chrisitianity is not bad or evil. Much like everyone else Chrisitians are people as well and they’re flawed. They’re not perfect, though the world seems to use their mistakes as easy target practice to condemn them when Chrisitians make mistakes as much as the next person. I’ve thought about it, and I’d say that a lot of what makes this issue difficult to discuss is how, at least in Western culture, games and religion were separate for a long time. I might be misremembering, but the Puritans looked down on entertainment. So no analog games there. And when American culture finally started creating games, they had decidedly secular themes. Monopoly, Battleship, Risk, etc. That’s the tradition video games drew from in their earliest days. And when games finally started moving toward narrative (which would have let them discuss religion more openly), other trends made it more difficult to do so. More cultures started producing video games, and Japan in particular was more often interested in broad symbolism than in the particulars of any one religion. Not exactly an environment conducive toward discussing religious representation in video games. Great article. I truly agree that as Christians and especially Christians who are game bloggers (like myself) need to continue to speak up for Christ in this genre/community. Thanks for writing, and also for sharing a few game links I never saw before. Except for Five Nights at Freddies, I didn’t know about the other games. God bless ya.